‘My Bossa Nova Favorites‘ is a studio album featuring 12 rhymic Bossa Nova titiles. The album has been released around the world in many formats, including BOSSA NOVA PASSION. Many of the tracks can be downloaded from iTUNES via the links above. ‘The Girl From Ipanema’, ‘Jet Samba’ and ‘Águas De Março’ (‘Waters Of March’). At the dawn of the 60’s, a new musical era invaded the world: BOSSA NOVA was born. It was about, before everything, a particular rhythm which originated in the small night clubs (“boates” in Brazilian) in Copacabana and Ipanema. A handful of artists (musicians, poets, singers) were the intsigators. With their spontaneous talent and subtle alchemy, they have revolutionized the Brazilian music scene and created a new musical space. Vinícius de Moraes, Carlos Jobim, João Gilberto, Baden Powell… are all the most achieved and dynamic expression of this music. BOSSA NOVA became associated with an intellectual, cultural and social revolution: Brazil’s full revival of democracy in the Sixties. The body can’t help doing a few dance steps when listening to Bossa Nova… a sensation of warm sand overcomes the feet… we dream of palm trees swaying in the gentle breeze with the sun setting in the background… like sugar melting in coffee… honey sliding down the throat… Bossa Nova is twilight… between broad daylight and the beginning of evening.. it is the sensuality in music. 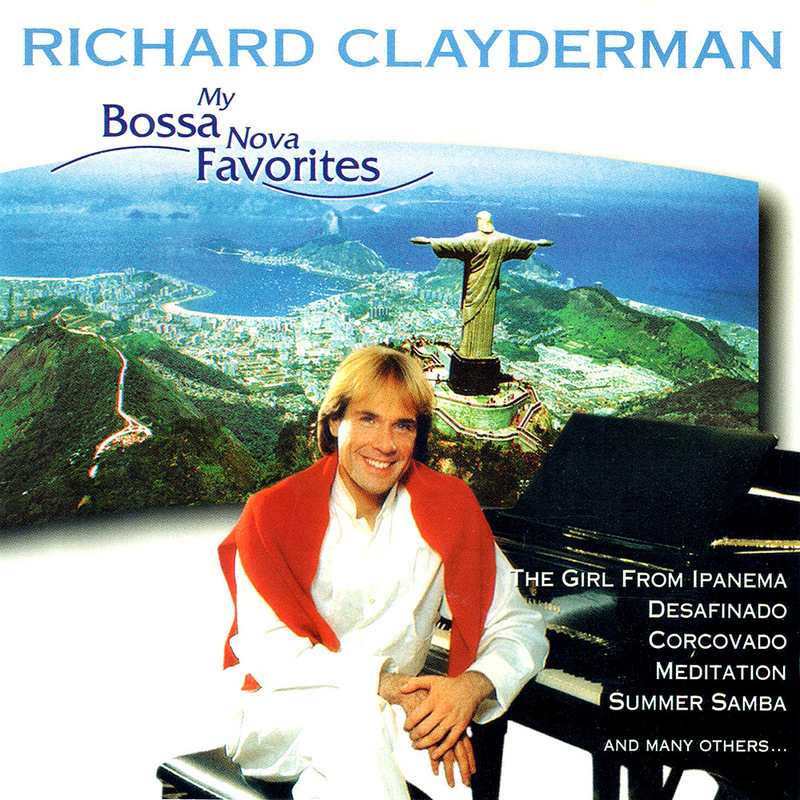 Richard Clayderman lets us rediscover Bossa Nova’s particular rhythms and subtle harmonies. His keyboard perfectly marries with Bossa Nova’s spirit: a music which murmurs and caresses by its sensual rhythm. Drums, light percussion, bass and of course guitar accompany Richard Clayderman. Sometimes he is surrounded by a sax, a trombone or trumpet which he lets take the lead or a short movement of improvisation. A large string section participates in a few of the recordings when the melody and arrangement calls for it like in “Jet Samba” or “How Insensitive”.